CANEGROWERS has told a Queensland Parliamentary committee that the State Government’s proposed laws on farming in Great Barrier Reef catchments include a massive power grab. 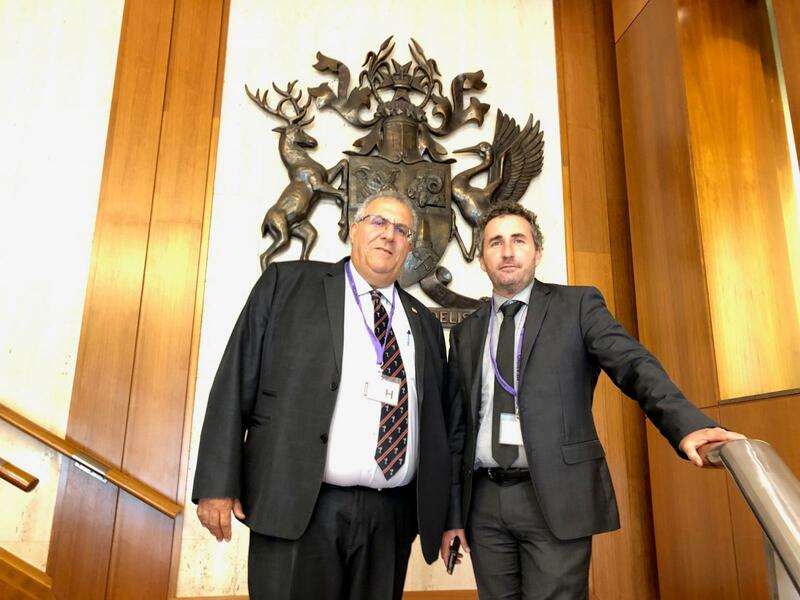 CANEGROWERS was represented by Chairman Paul Schembri and CEO Dan Galligan in Brisbane at Monday’s only scheduled hearing of the Innovation, Tourism Development and Environment Committee into the Environmental Protection (Great Barrier Reef Protection Measures) and Other Legislation Amendment Bill 2019. “Our submission highlights that this Bill would hand broad powers to the Department of Environment and Science’s chief executive to change minimum cane farming standards in any way at any time with no regard for the impacts on growers or their communities,” Mr Galligan said after the hearing. “There is no mechanism for challenge or review, no requirement for the changes to be based on science or evidence. “Essentially the government will hand bureaucrats in Brisbane the power to shift the goal posts on cane growers again and again and again. Mr Schembri today told the Committee that most cane growers had been working under reef water quality regulations since 2009 and there was no need for changes. In five years 70% of the cane industry’s land footprint has voluntarily become involved in a program of best practice called Smartcane BMP which is supported by the Queensland Government. “This program is delivering environmental outcomes while also positioning us as certified suppliers of sustainable sugar to a market that wants,” Mr Schembri said. “We don’t need more bureaucratic interference when, as an industry, we are achieving good progress with programs that acknowledge, respect and work with us. Mr Schembri was one of only around six farmers in the Committee room at Parliament House in Brisbane. “Today’s hearing in Brisbane was completely inadequate to explore the huge impacts this Bill will have on farming in Queensland,” Mr Schembri said. “Just 40 minutes of the Committee’s time had to be shared by CANEGROWERS, AgForce and the Australian Sugar Milling Council. “While we thank the Committee members for their interest and questions, it was clear some of them had more to ask us when the time expired. Read the CANEGROWERS submission to the Committee.